You may remember a while back I did a post on how my beautiful purple holo polish, Grape Stomp, was disrespected by a well-known topcoat (TC), read about it here. 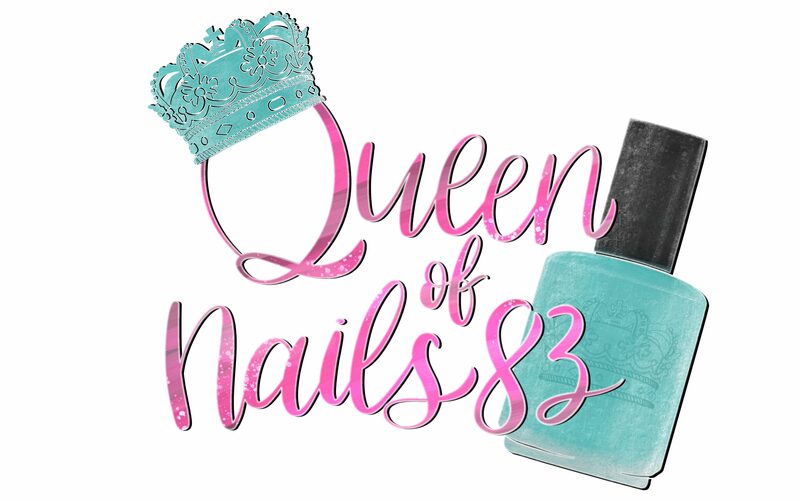 I was so upset that I set out to find a TC that would not only stand up to all my beautiful holos, glitters, crèmes and shimmers, but that is also quick drying, non smearing, budget friendly, readily available and most importantly…indie! Today I decided to put 2 well-known indie brand TC in the ring to see who was the last polish standing. Ladies and Gentlemen, boys and girls, LETS GET READY TO PPPPOOOOLLLLLIISSSSSSHHHH! *Ding, Ding! In the right corner, we have High Shine, Quick Dry Topcoat by Vapid! Aaaaaand in the left corner, we have Topped with Love by Love, Angeline. Here to help us out today are our officials who will keep everyone in line and make sure things don’t get messy. They will also serve as our control group. 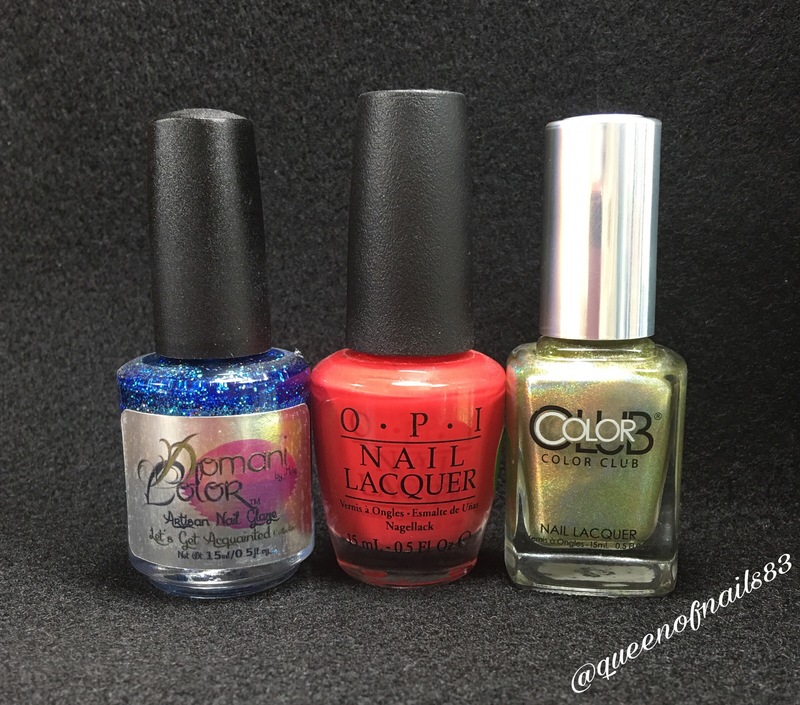 Let’s meet them (l to r), Twinkle in the Night by Domani Color, Cajun Shrimp by O.P.I. and Kismet by Color Club. Originally, I just wanted to see how these topcoats stood up to the challenge of glitters and holos. But then, I decided I wanted to see how quickly they dried, hence the crème swatch. To each swatch stick I applied 2 even coats of each polish, no base coat (shown above). Above shows swatches with 1 coat of TC of the designated brand. Here’s are closer shots of the swatches. Overall, I have to say this was a close one and honestly…no real winner in my book as they both preformed relatively the same. Of all the TCs I own, these two are both World Polish Champs (WPC) to me. They are amazing contenders who came off the ropes swinging and never gave up. I personally would purchase either or both based on the amazing performance these TCs put forth today. I think the other deciding factors are how they stand up to wear time and nail art. Do you have a favorite topcoat? If so, why is it you fave? I haven’t tried either of these. I just cant quit my Seche Vite. Good to know that these are both good options! I keep missing TWL so I have a truckload of Vapid on the way to me. This is such an awesome post! I’ve been a Rica’s Glossy Glam user for a while now, but have been thinking of switching it up. I’ll have to look into these! They look quite close indeed!